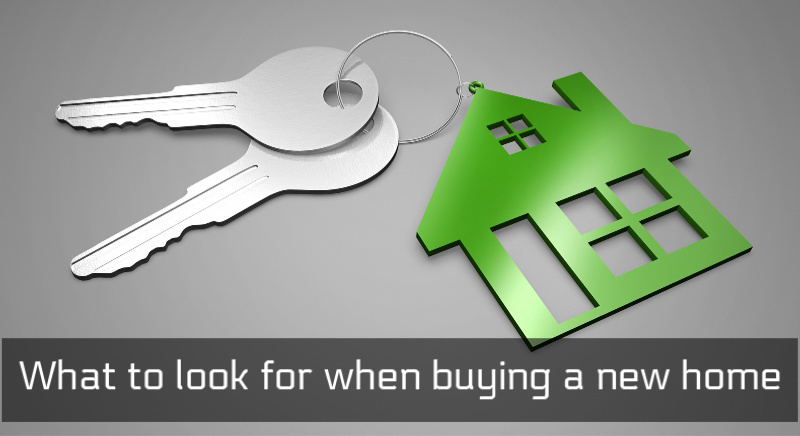 Rather than facing unexpected bills, just after moving in, would you like to know what to look for when viewing properties, prior to buying? Does the unit have circuit breakers or old fuses? You will see switches on the front, if circuit breakers are fitted. Are the circuits labelled? Good news if they are – this is a sign of good workmanship; and will save you trouble later. Is there a test sticker on the front? What is the date – is it recent? If not, you might want to consider getting this tested before you exchange contracts. Are the cables entering the fuseboard white, grey or black? If they are black, the chances are the insulation is made from vulcanised Indian rubber – in which case, you will need a full rewire of the property. Are the cable loose and hanging, or neatly clipped and contained? Again, this is a sign of good workmanship – giving you reassurance. 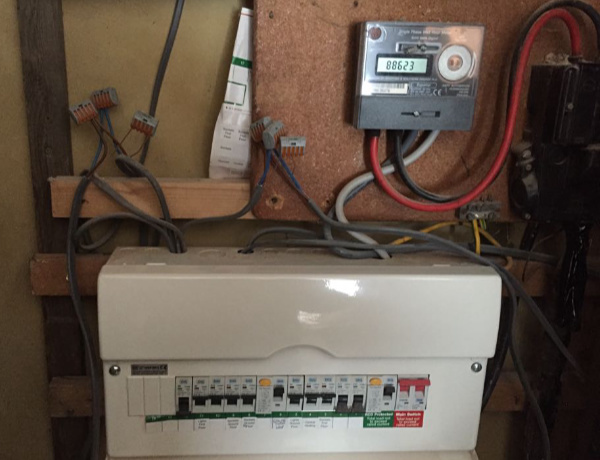 The consumer unit is the most important part of the electrics – think of it as the heart of the property – pumping to all the parts. You will want to know it is in good condition, or at least get a heads up, if it needs replacing. Whilst old fuses are not necessarily a cause for alarm, replacing fuse wire, in the dark, is not good fun. Flicking a switch if something blows a fuse is easier, and circuit breakers are always fitted in new properties. Live connections around the consumers unit, not housed within an electrical enclosure. Plus all cables are just loose and hanging. Looking at these will give you a good indication of the general condition and age of the electrics. Are the sockets mounted on or near the skirting boards? This is an indication they were installed some time ago – current regulations are waist height. Are there any broken sockets, switches or lights? Not only does this mean they will need replacing, but gives you an idea of how the house has been treated – so you might want to dig deeper. 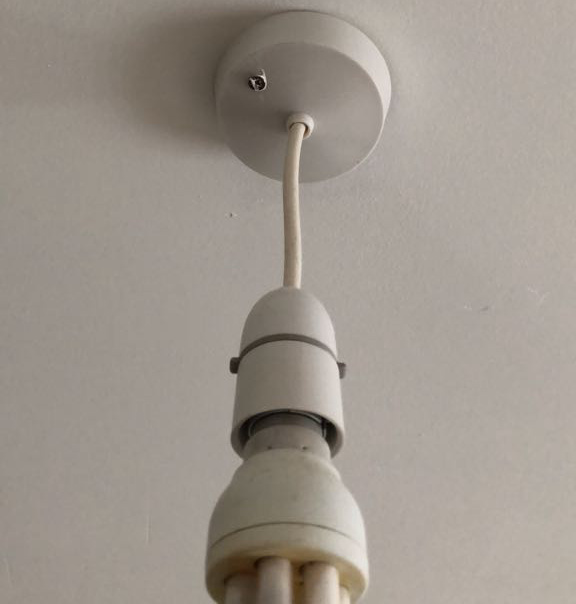 Do any pendant light fittings have twisted wires going into the bulb? These are very old, and will need to be replaced. Light fitting attached to ceiling with screw rather than concealed fittings. High chance this has gone through the wiring – creating a hazard. Do the light fittings look suitable for a bathroom? Ceiling lights that hang down (a pendant) are not suitable. In general, bathroom lights should be covered. Is there a wall light switch, or socket in the room? This is not suitable – electric shaver sockets are fine, as they are electrically separated by a transformer. Is there an extractor fan? If so, is it mounted directly next to the shower head? This can lead to water being sprayed into the fan, not only causing damage but also posing the risk of electrocution. Are there any bare wires protruding from the walls? Yes, we have seen it, and they were live! 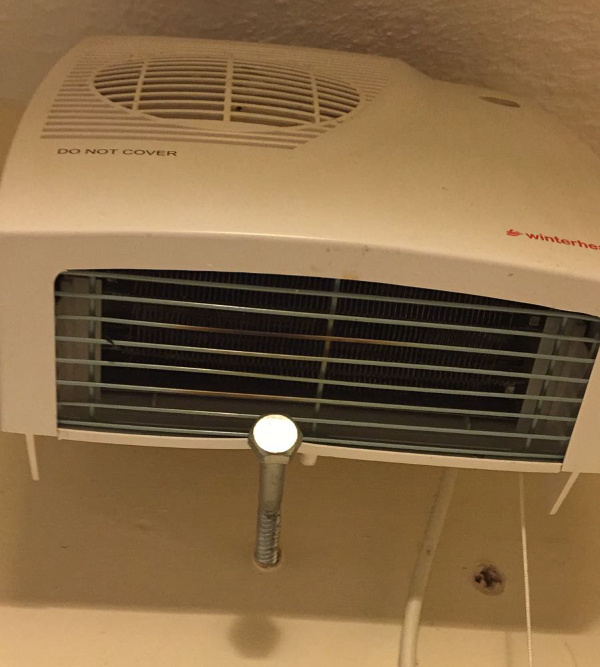 This wall mounted bathroom heater was found to have no proper wall fixing, and was just resting on a metal bolt. The bath was directly below – a deadly accident just waiting to happen. Are there any electrics in the garden? If not, then no problem. If there are any outbuildings, sheds or summer houses, there is a good chance there will be electrics. Lights – look at any light fittings mounted on walls, fences, or even in flower beds. Are they solar, or electric? Trace back any electrics so you can see the cabling going into the house. Most garden circuits should be installed in black armoured cable, which should either be buried to a specified depth, or clipped onto a wall or fence. Cables should never go across a path, or be laid directly on the floor. Does the property owner have certification for the entire electrical installation? If not, this is not a deal breaker, but it is worth considering. As a full rewire is a major project affecting every part of the home, the cost and hassle of doing this is something you need to be prepared for. Any certification should have a unique reference number, and be from an approved and recognised authority. It should be in date. They are normally valid for up to 10 years, but can expire before that depending on the condition at the time of the testing. 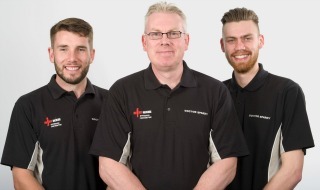 For a really accurate and detailed assessment of the electrics, you should have a full Electrical Condition Report, carried out by an NICEIC Approved Contractor. If you would like to arrange a full report, please contact us on 07970 970 880.